There has been a lot of controversy lately regarding mascots and cheerleaders in the NFL. Mascots get paid a lot better than their female cheering counterparts, and they seem to get a lot more benefits as well. 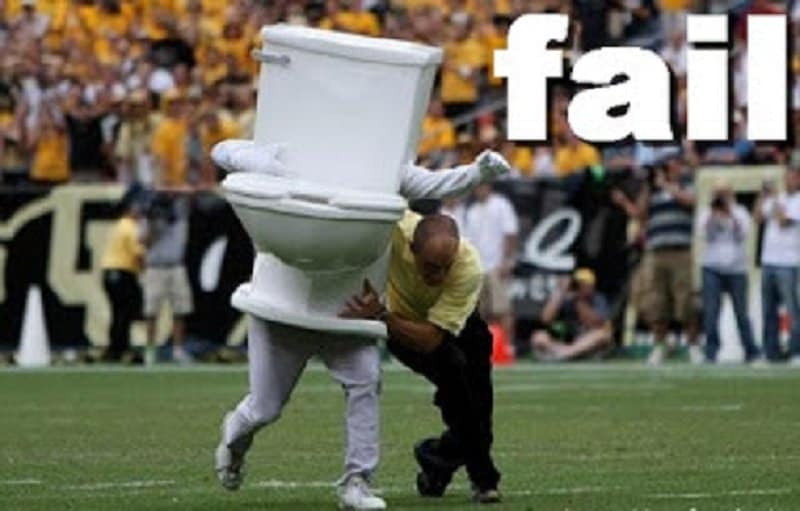 Being a mascot is not as glamorous as it appears though. It must get awfully hot in those costumes and no one really knows who is in there either. 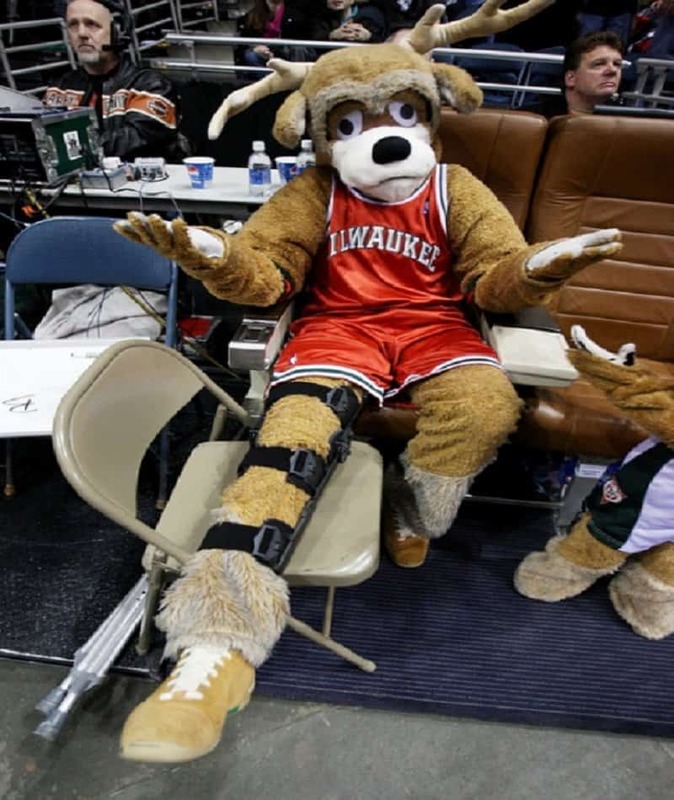 They also seem quite susceptible to massive public fails, and this list looks at 10 of the funniest mascot fails of all-time. 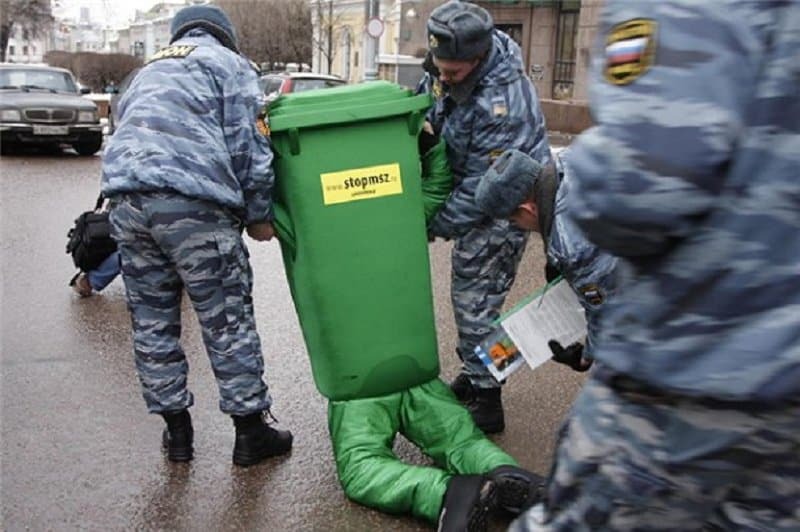 This mascot outfit is absolute garbage and the cops seem to be taking out the trash. 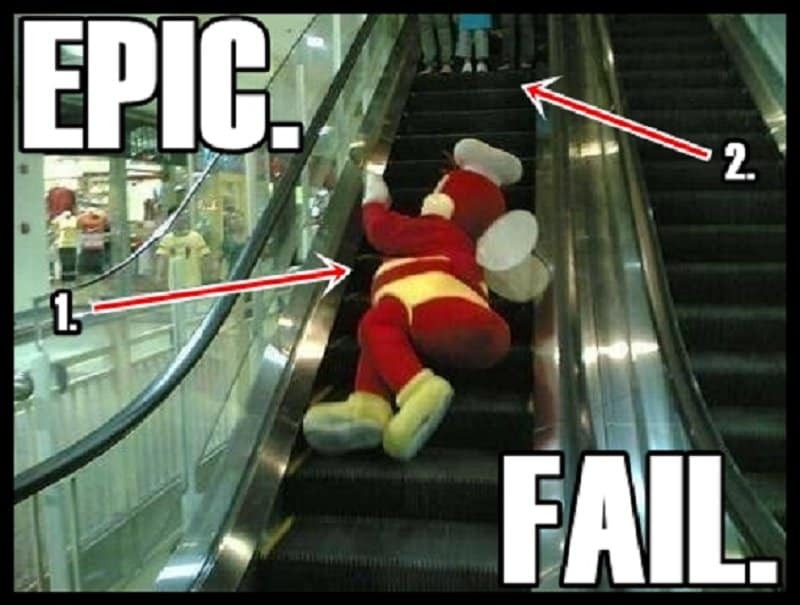 This bee is used to flying around the place and isn’t taking to the escalator well enough. This fanatic doesn’t seem to understand boundaries and is taking things to the next level with this cheerleader. 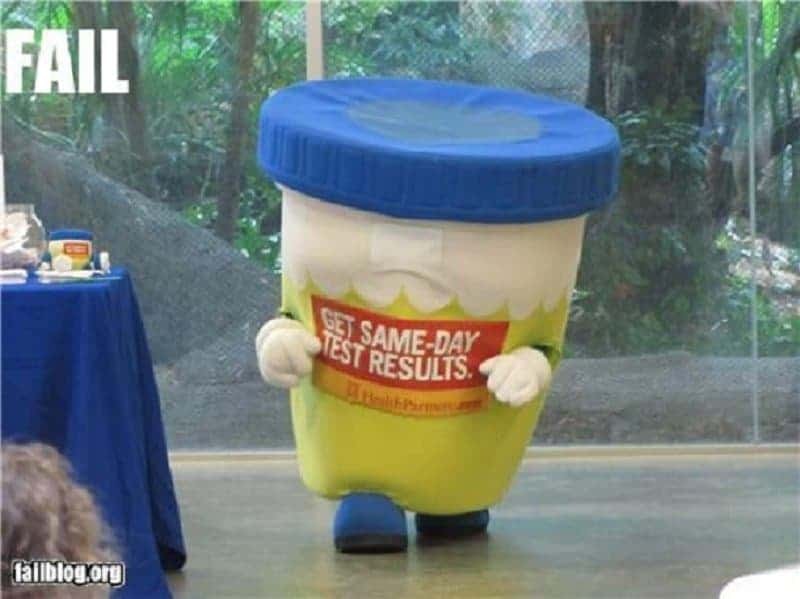 I do not want to know what is inside that cup! Easily the most epic mascot of all-time! This moose was quite close to being tied to the roof of a car, but managed to get away with a broken leg instead. 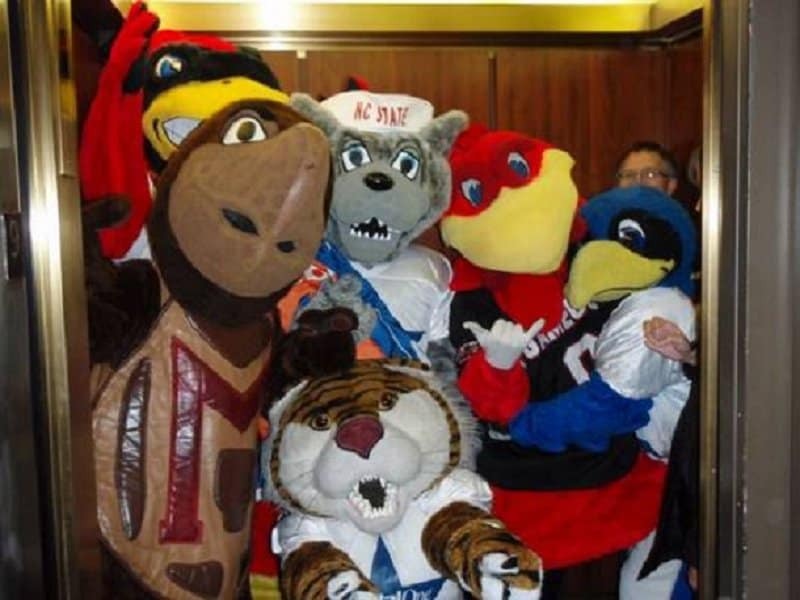 Did you hear the joke about the multiple mascots stuck in an elevator? They looked absolutely ridiculous. 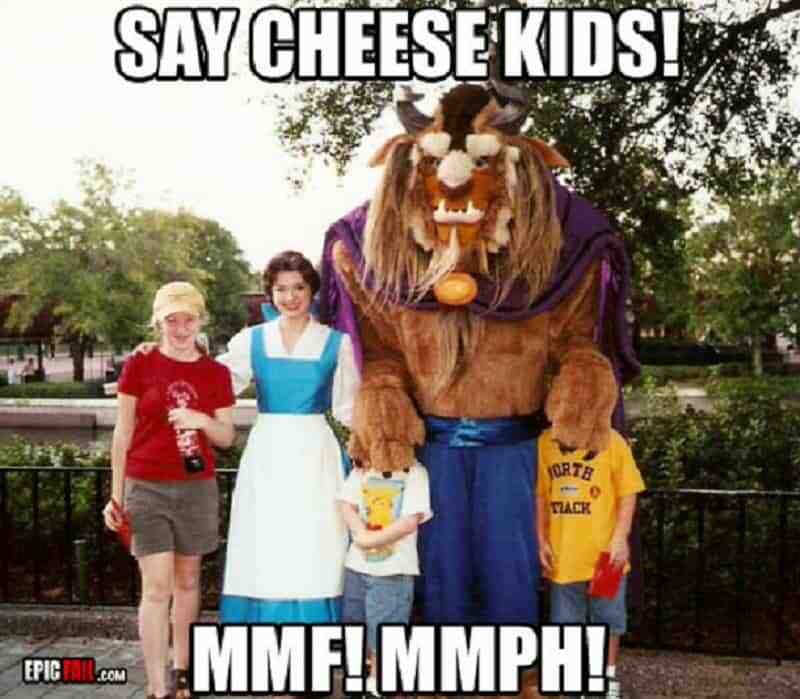 Not all mascots are cheery! Some of them seem to love ruining a good moment. 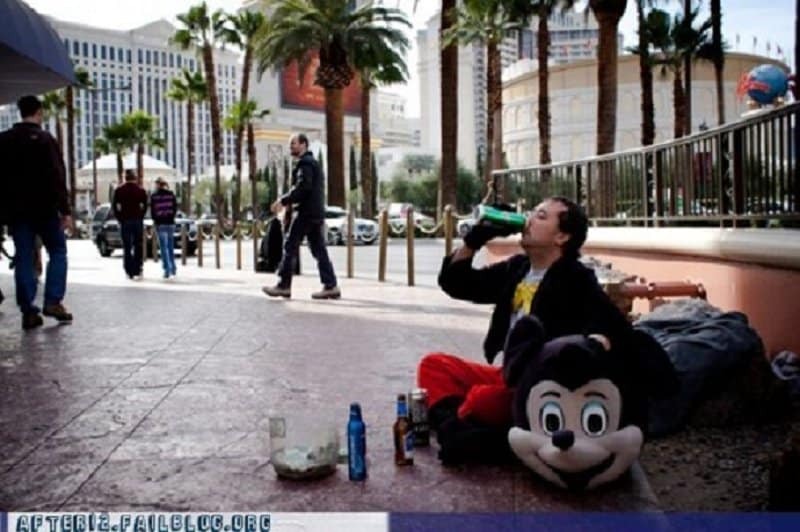 I guess you would be a drunk too if you were a cheery mouse 24/7! 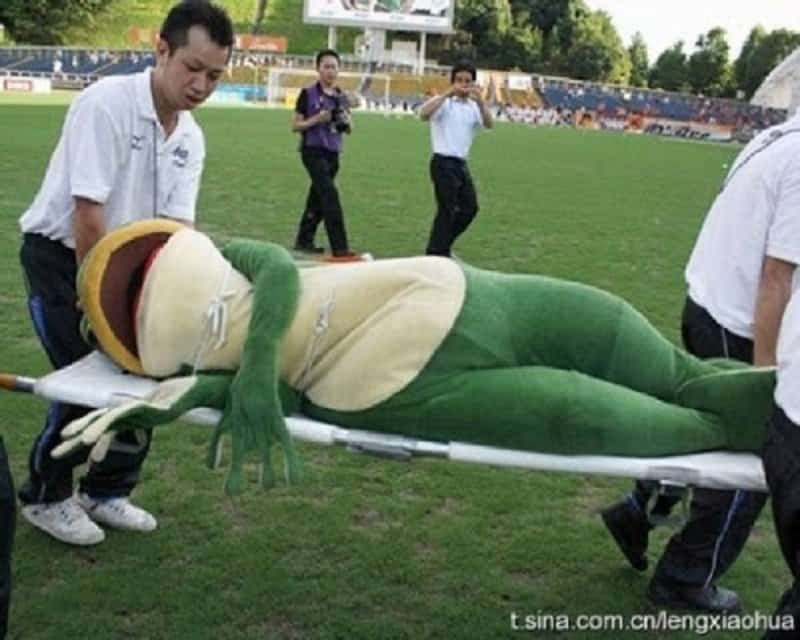 This poor frog seems to have leaped far more than he was capable of!